I finally got around to testing out the “Facebook Photos” channel on my Roku HD player, but it doesn’t work. The process starts by visiting Roku.com/Facebook, which redirects you to a Facebook page that allows you to click a “Generate” button that creates a one-time use code. This code allows you to link your Roku player with your Facebook account. I input my code on my Roku HD player and linked my player to my Facebook account with no issues. Once the Facebook Photos Roku channel loads, there are options for Photo Feed, My Photos and Friends’ Photos. At first glance, everything looked good, I could see a thumbnail photo for “My Photos” and when I went into my Friend’s Photos, I could see a thumbnail for each of my friends. The problem started when I clicked on My Photos to view the albums and photos inside of it. After clicking on my thumbnail for My Photos or a friend’s thumbnail to try to view their photos, the Roku Facebook Photos channel displays the error message “No photos found”. I then clicked on the “Photo Feed” option and the Facebook Photos channel notified me that I needed to enable “extended permissions” for the Roku Facebook app. I went back to Facebook, enabled the “extended permissions” and checked to see if there were any other permissions available for the Roku app on Facebook. I had all permissions enabled. After enabling these extended permissions, my photo feed started working. Eureka! I could now see a stream of all the latest Facebook photos from my friends on my HDTV via my Roku HD player. This is cool, but I’d also like to be able to browse my own albums and my friends albums specifically, instead of just a random stream of the latest photos, like the Photo Feed displays. Perhaps the extended permissions fixed the My Photos and the Friends Photos sections too? Nope. I still get the same error message “No photos found”. I’ve tried many things to resolve the issue, with no luck so far. I’ve deleted the Facebook Photos channel and readded it to my Roku (to ensure that I have the latest version). I’ve checked my Facebook privacy and application settings. I’ve checked the options for “My photos”, “My videos” and “Photos and videos I’m tagged in” on the Facebook settings section: Choose Your Privacy Settings -> Applications, Games and Websites -> Info accessible through your friends. The issue still recurs. After searching the interwebz, I found that this problem had occurred before. On March 4th 2010, numerous customers reported on the Roku forums that they could no longer view photos and were getting a “No photos found” message on the Facebook Photos Roku channel. On March 6th, Roku support resolved the issue by releasing a new version of the Facebook Photos channel (it is developed by Roku). I’m guessing that Roku needs to update their Facebook Photos channel yet again to fix the problem. But if not, they need to at least give us detailed instructions on what settings we need to enable in our Facebook accounts in order to get it working. And no, the default Facebook privacy settings are not acceptable. What say you Roku? An independent developer has provided a fix for the Facebook Photos Roku channel permissions issue. I am having the exact same issue. I am a pretty new Roku user (about 3 weeks) and absolutely love it. I have fired HBO, hired Netflix and am happy with everything. I even subscribed to the Midnight Movies and the Drive-In channel. Pretty cool. However, I could have written your review for the FB photos page…exactly the same issue. Wonder if they will ever fix it? It would be very nice to view those albums on the big screen! Hey JTC, thanks for sharing your experience, I’ve tried everything possible to contact Roku to fix the problem (their Facebook forum, their official support forum, email), but they still won’t address the issue. It’s sad since they’re still advertising it as one of their key features. What a nice post my friend. I am a facebook addict and mostly spend my time playing some games and just talking out with my family. Surely, there are so many ways we can use facebook and I really love using it. I hope they have something more new to come for all of us. I’m having the exact same issue with the Facebook app on my Roku box and I’ve tried everything Wes has with the same results. 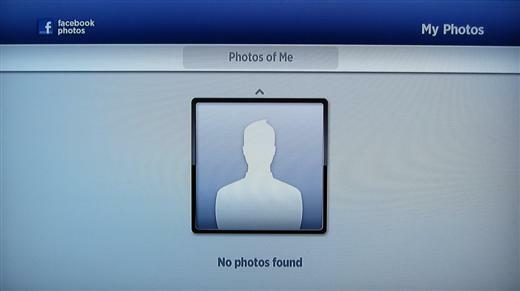 In addition I can only view the photos of 6 of my several hundred Facebook friends and can’t view any of mine. I get the same error message that Wes describes in his post. Same issue here and it’s absolutely the most annoying thing. I wanna see all the pics of my newborn on the big screen and I still can’t. Been like a YEAR NOW. Bad for business ROKU! Something should be done. When I switch up I plan to ditch this whole Roku thing I think. I have seen other options out there and on others the Facebook actually works and is awesome on the big screen.